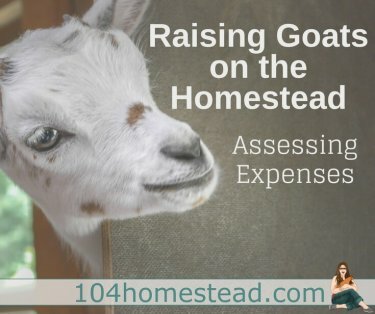 Many homesteaders pride themselves on making their own products, be it the cleaners they use in their homes, their own incubators for hatching out chicks and ducklings, or their own shampoos. We are just DIY people. One area that a lot of homesteaders find themselves stuck is making soap. They want to enjoy luxurious homemade soap, but the thought of making it from scratch is scary and the price to buy it can be high. It doesn’t have to be that way. Having made a variety of soaps, I know that the hardest part is dealing with lye. I’m not going to lye (<<< see what I did there), lye is scary stuff when you aren’t sure how to use it. It is intimidating to work with and there is significant concern for safety when you have kids in the house. Of course, most soap has lye in it, so how do you avoid that scary step? 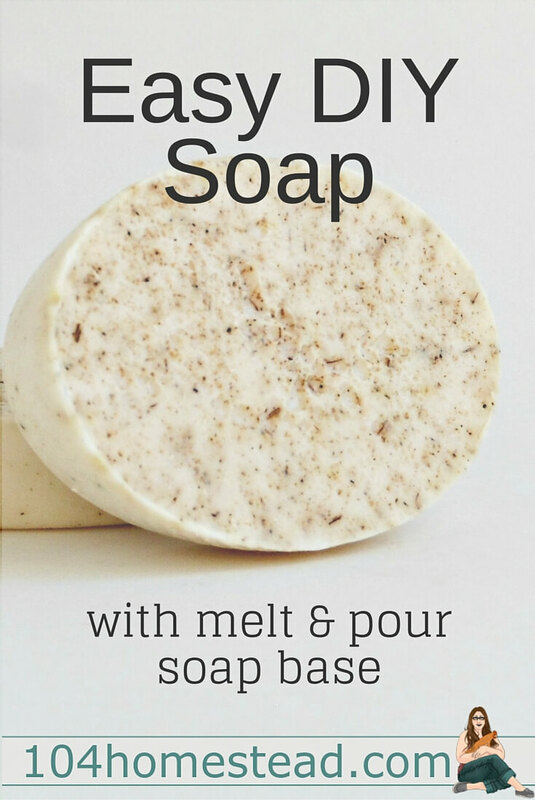 Buy Melt & Pour (M&P) soap base. M&P soap bases are premixed bases that have all the scary work done already. All you do is melt, mix, and pour into molds. You get the joy of homemade soap with the ability to customize it as you see fit, without dealing with chemical ratios and possible burns. Not a bad deal! Just because you are starting with a base does not mean that you didn’t handcraft the soap yourself. M&P just gives you the foundation. It’s up to you to build the house. You choose the scent(s) you want your soap to have. There are fragrance oils available on the market, but I recommend using essential oils for their wonderful scents and added therapeutic benefits as well. You can color your soaps using micas which are much safer than the green colorant added to your dial soap. You mix and match M&P bases to create the feel and benefits you’re looking for. Want some exfoliating action? Toss in some ground loofah or some poppy seeds. I’m personally a fan of using coffee grounds. You can customize your soap further by adding them to fun-shaped molds. There are hundreds of shapes and sizes you can make to give it your own personal flair. That Sounds Great! How Do I Start? You’ll want to find a place to buy Melt & Pour soap bases. I personally love BrambleBerry and use them for all of my soap making needs. They offer twelve different soap bases, including honey, aloe, hemp, and goats milk. They also provide a sampler pack that has 1 pound of seven varieties which is great when you’re just starting to get your hands sudsy. You may also want to check out their line of fun molds, but this is an extra and not really required. There are many DIY soap molds you can create, as well as items you may already have around the house that work well for molding soap. Once your soap base arrives in the mail (if you’re like me, you’ll be tracking it like a hound), just chop it up into little cubes. I use that term loosely as many fracture into bits when you chop. It’s completely okay! You just don’t want to try and melt down a one pound block because it would take forever. If you are following a recipe, you’ll want to measure out your soap’s weight. A digital kitchen scale works really well for this. Here is the one I use. Don’t buy the more expensive one by Ozeri, because it doesn’t work as well as their base one, trust me. If you are a free-spirit who wants to make whatever feels right, just chop until it looks like you have as much as you want. They didn’t have this one available when I bought my supplies, but I’m getting it now. That venting lid will make soapmaking a breeze! There is one rule and two suggestions to the melting process of Melt & Pour soap. The rule is that you cannot heat it directly on the heat source if you are using a stove. It will scald the base which won’t affect usability, but it no longer looks pretty and always smells a bit off. You want to create a double-boiler system, which brings me to my first suggestion. You can use an actual double boiler, but they can be hard to pour when you get ready to add your soap to the molds. 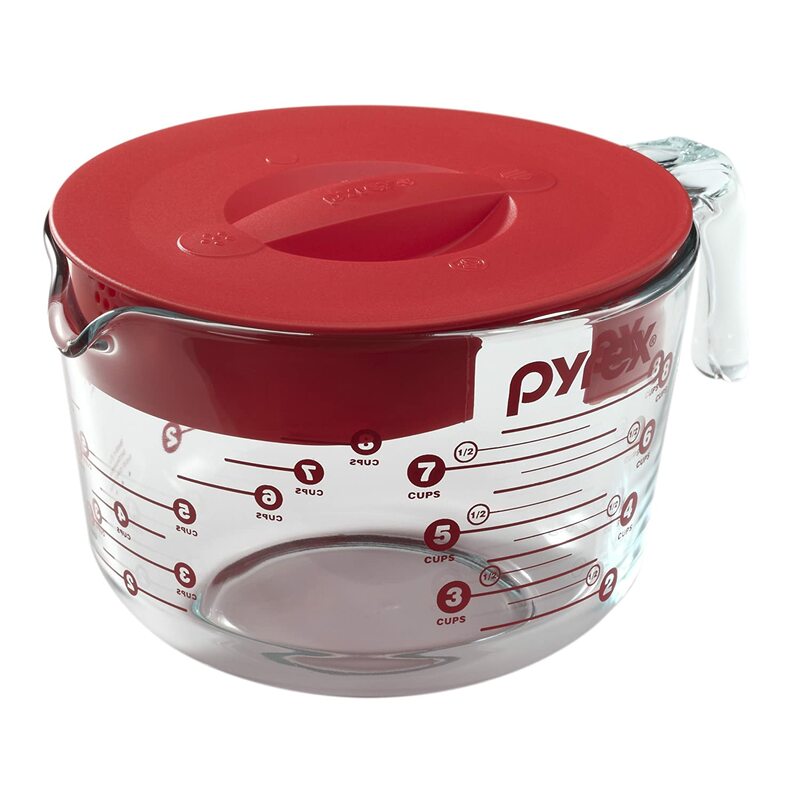 I use a large 4 c. Pyrex measuring cup in a little saucepan. [Upon linking to the one I use, I see they now have an 8 cup for the same price that comes with a lid. You might want to consider that one as well. I know I’m ordering one as soon as I’m done writing this.] The spout making pouring much easier. You can use an over-sized pot lid to help hold in the heat while you melt and reduce moisture loss. Suggestion number two is to heat slowly. You can’t rush perfection. I like to use a medium-low heat on the stove top. It makes the soap creamier and the creaminess shines through in your finished product. Many sites suggest zapping your soap base in the microwave to melt it. You can, but I would caution against it. I’ve tried and despite following the instructions, I’ve scalded more soaps than I care to waste. Again, you can’t rush perfection and even on the stove, it doesn’t take long. This is the fun part. On your stove you have beautiful, creamy soap base. It’s a canvas just waiting for the artist. The possibilities are endless. Colors, scents, natural additives, and so much more can be added. I know some moms who use a clear soap base and suspend bath toys for their kids inside the soap. I love to use up my soap scraps by floating them inside a clear base. You can layer your soap so each layer is a different scent and/or color. You can make your soap the masterpiece you want it to be. Here is the last step as the name indicates. Just pour your melted masterpiece soap into a mold of your choosing. It can be a mold you purchased or one you created. Once you’ve poured it in, just spritz with rubbing alcohol to remove any bubbles on the surface and wait 4-8 hours before removing them from the molds. That’s something you can’t do with hot and cold process soaps that take days to week to cure. Do you need a bit more help getting started? My new book Homemade Beauty Essentials will talk you through every step of homemade melt and pour soaps. I discuss DIY mold options, layering methods, using essential oils for wellness, and so much more. Homemade Beauty Essentials not only provides you with six soap recipes (as well as recipes for hard lotions and lip balms), but it arms you with the confidence to experiment in making your own recipes. So what are you waiting for? 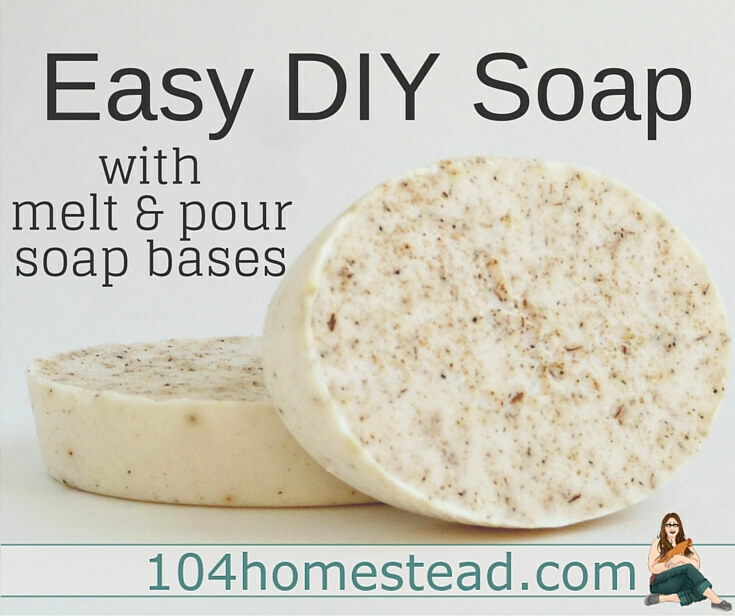 Add homemade soap to your list of natural items made with love by you! Please how can I add rice milk to my melt and pour soap, and is there a specific quantity I can use? I’m going to make melt and pour soap, as this this is my venture in making soap. I purchased M & P with oat meal. My question is, can I still add powdered goat’s milk to it ? I have no clue as to how much I should add to a one pound block. Thank you for your instructions, I thought about using the microwave, but now I’m going to do it how you did.